Meanwhile, Shelly Finkel has told Sky Sports that the offer is genuine, that he and Al Haymon have “never not delivered what we offered.” According to Finkel the fight deal has no rematch clause attached, the fight would be the next fight for both heavyweight champions, to take place between September and December, at a venue of Wilder’s choosing. It all sounds great, and Finkel says that if AJ really wants to fight Wilder he will take this counteroffer of a take it or leave it deal. 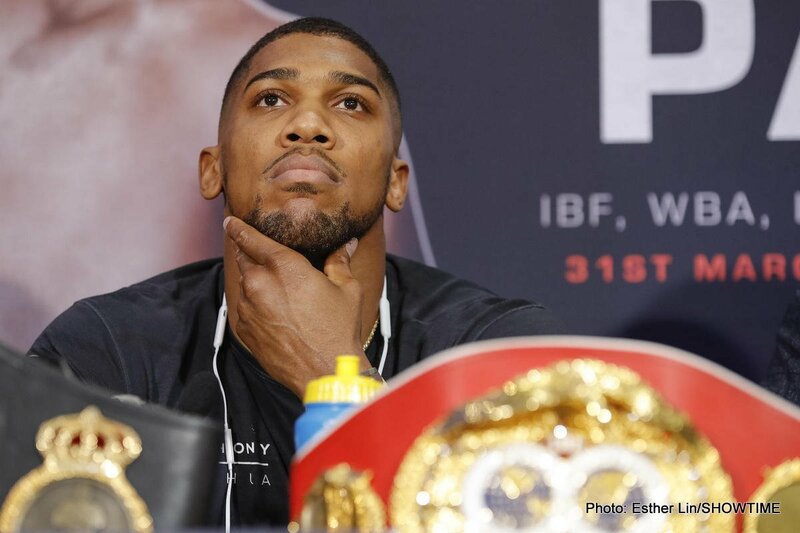 Joshua, though, has told BBC Sport how he wants to “see the money” before he puts pen to paper and signs for the fight. Eddie Hearn has referred to the offer as a “PR move,” but the promoter added how he is definitely interested in seeing if the offer is for real. Hearn has not ruled out the idea of the fight taking place in the US (certain to be the location Wilder would pick) but that he very much prefers the idea of the fight taking place in the UK. “If you’ve got it [the $50 million] – show us it and then we can talk,” Hearn said with regards to the cash offer. More talks are set to take place between Hearn and Finkel/Haymon this Friday. But are we perhaps closer than ever to seeing this massive and massively important fight made? Whether it takes place in Las Vegas or in London, fans need to see this fight happen.